Is this "layout" of a cube valid for the Minor Illusion spell? Note that this could potentially change the argument of the answer to "Can I use Minor Illusion to create a wall, hide behind it, and attack with advantage?". 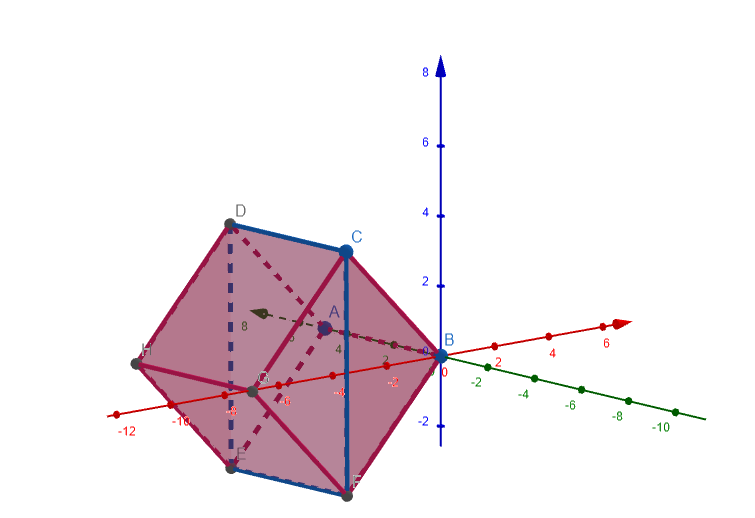 Also related: How does orienting a cube-shaped spell work in three-dimensional space? 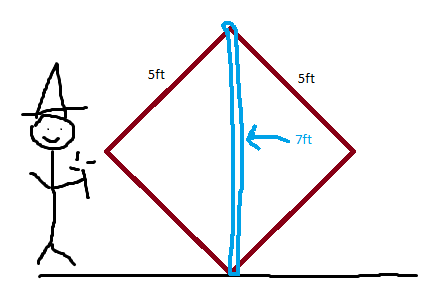 Using 5-foot squares, does cloud of daggers affect a single square? Cloud of daggers (5 ft. cube) can affect more than one square on a grid, unless the DM says effects snap to the grid. There are many ways to position that cube. While the Sage Advice article deals with a different spell, the matter is directly related to your question. To wit: "non-snapped" positioning of a spell's area of effect is legal, strictly speaking, though it might not fly with a DM who can house-rule otherwise. The answer is technically yes. Due to the wording of the spell, if the object (illusion) that you want to create fits within the 5 ft cube, you can use the spell to create it. However, like all interpretations of the rules in D&D, the DM makes the final decision. Especially in this scenario, the DM might decide that the theoretical cube (the size requirement) must be placed flat on the ground or something like that. What I'm trying to say, is that even if the DM allows it, they might not let it work the way that you want. Good question. I really love that you are using your math to find loopholes in the rules; I'll have to remember to do that myself in the future. Hope this helped! The spell description doesn't say the image you create must fit inside of a 5-foot cube. It says it must be "no larger than" a 5 foot cube. Which says it's about putting the total size (or, since we're dealing with a 3-dimensional object, "volume") of a 5-foot cube against the total size (again, volume) of the illusion. That gives you 125 cubic-feet to work with, so you can do a 7' x 5' wall so long as it's not more than ~3.5' thick. Or make it half an inch thick instead, and you can have a 7' x 425' wall, which is even better and still strictly not larger than a 5-foot cube. I assume an infinitely large planar image (of zero thickness) would be out, however, as the description at least implies that the illusion is 3-dimensional and based upon some tangible object that you've actually observed in the 3-dimensional world. But if you're good at dividing by very small fractions of units then even taller and longer walls should be possible. It's not like illusory walls need any significant thickness to be effective, and you can probably argue that you've seen some quite flimsy/thin facade walls before. You should be prepared for your DM to cite this answer to the question "Does “no larger than” imply shapability?" (or something like it) in reply. A tall, long, skinny wall is not volumetrically larger than a 5-foot cube and does not create sensory effects, so it should therefore be allowed. Not the answer you're looking for? Browse other questions tagged dnd-5e spells area-of-effect or ask your own question. Does “no larger than” imply shapability? When Silent Image Is Disbelieved, Is It Transparent? Is there a mistake in the shadow illusions example? In the Spell “Guards and Wards” is there a size limit on the doors that can be affected as per the limitations on Minor Illusions? What is the correct Minor Illusion “image of an object” size interpretation? Can a “real” illusion be seen through?